Do you have a strong interest in education and learning, but want to keep your career options open? If so, this could be the degree for you. You'll explore a wide range of disciplines and fields concerned with educational structures, theory and policy, examining how these play out in the practice of education. This course may open up a wide range of opportunities in education, social services, community work, policy development and educational research, as well as other diverse support work. Why study Education (Psychology) at Nottingham Trent University? Many of our students choose to take a placement overseas. Recent placements have been available with a cricket project in Namibia, an international school in Brunei, an orphanage in Mombasa and an English language project in Thailand. Our BA (Hons) Education degree allows you to explore education in its broadest sense. Each degree has a number of shared modules. This degree will develop your understanding of how people develop and learn throughout their lives, as well as the nature of knowledge and understanding, using psychological theories and perspectives. You will also study how education contributes to society, politics and economics. Each year provides a key focus that will lend to you thinking as an educationalist with an emphasis on psychology. In Year One, the course provides a solid grounding for understanding the multi and interdisciplinary nature of education. Multidisciplinary in the way that it draws from Sociology, Psychology, Philosophy and Politics, and interdisciplinary in the way that it includes specialised educational fields of study. In Year Two, the course will cement your theoretical knowledge as you think about how your own research could contribute to the field of education. You will also develop your understanding of social psychology and the application of psychology in educational contexts. Year Two is dedicated to placement activity. Placements can be in a wide range of educational settings, locally, regionally, nationally or internationally. In Year Three, you’ll conduct research for your dissertation and continue to gain experience and develop a portfolio. You’ll also explore how different behaviours are supported and understood in educational contexts. The module is skills-rich and will enable you to gather, interpret and reflect on information, through writing, reviewing, editing and referencing. You will develop an understanding of education in its broadest sense. This module will help you consider the following: does education promote social mobility, what is knowledge, how is it developed and how can we establish whether education achieves its purpose? Should students be passive recipients or active agents in their learning space? You will examine the role of the teacher, considering teacher-centred didactic teaching approaches and alternative student-centred approach to teaching. You will investigate how learning in the outdoors supports the holistic nature of children’s learning and development, with a particular view on their developing sense of self. Explore changing attitudes and approaches to learners with a range of diverse needs – this module will increase your understanding of differing perspectives on inclusion and identify how these have influenced educational practice and provision for learners with special educational needs and disabilities. You will be asked to explore and consider processes such as pattern recognition, attention, memory storage and retrieval, and problem solving, and how such processes relate to education. You’ll develop professional skills through work-based learning in a placement setting relevant to your career goals. Whilst on your placement, you will be expected to reflect critically upon your own individual placement experiences. You’ll be introduced to researching within and about education and develop the skills to design and justify a piece of research. You’ll explore Functionalist, Marxist and Social Interactionist perspectives on education. 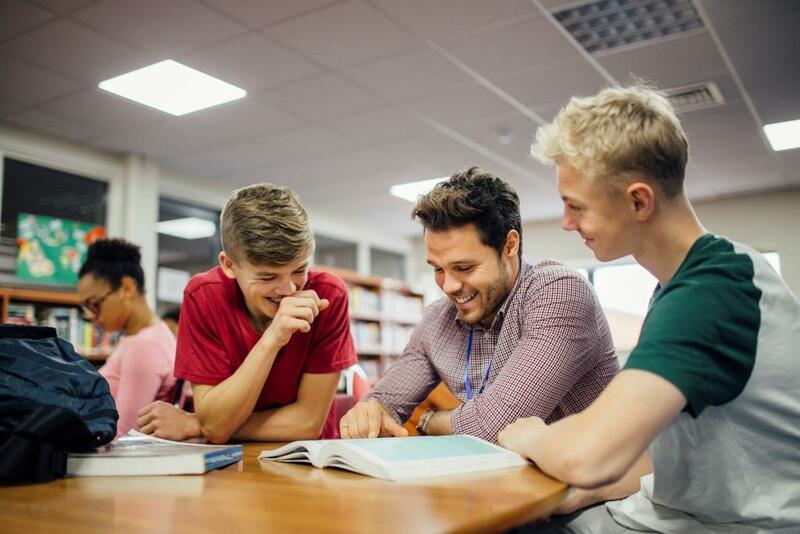 Developing a deeper sociological insight into feminist theory, social class theory and critical race theory, you’ll identify different groups of learners within the education system. Using a critical social policy lens, you’ll develop an appreciation of the relationships between political ideologies, social policy initiatives, social policy implementation and, ultimately, educational practice. The importance of well-being is not always central to pedagogic practice, yet it may be the basis on which some learners choose to be fully engaged in education, while others disengage psychologically or physically from the learning process. You’ll be introduced to a number of fundamental concepts in social psychology including social interaction, social processes, and the interplay between the person and society in attitudes, beliefs and socialisation. This involves international perspectives and cultural variations. You’ll research and write a dissertation in an area of your own academic interest, in relation to education. Why do children and young people misbehave in mainstream educational settings? This module invites you to explore the term ‘misbehave’ and its meaning for both students and educational practitioners. You’ll develop a solid foundation on fundamental concepts behind psychological interventions and support, as well as comparing and evaluating these techniques. You’ll study minoritized students and staff in education and the ways that mainstream education currently serves to marginalise a wide range of learners and potential learners by perpetuating Eurocentrism, elitism and sexism. This module looks at the societal context of post-compulsory education and training, including general further education, higher education and the broad concepts of ’lifelong learning’, ’skills’, ’widening participation’ and ’the student experience’. Explore how technological, political and economic globalising processes influence education policy and provision in the global South. We've introduced flexible and innovative ways of learning and teaching to develop your study skills and understanding of the integration of theory and practice. There are no formal exams during these courses; we use a variety of assessment types to allow you to demonstrate your strengths across a number of skill sets. Year Two is dedicated to placement activity. Placements can be in a wide range of educational settings, locally, regionally, nationally or internationally. You may find yourself working with disadvantaged children at a well-known charity, teaching English at a school in Sri Lanka or supporting the provision of activities for children / young people with a range of disabilities and additional needs at a local charity. Placements support both your professional and personal development so that you develop key skills that will make you more employable. They help you understand your subject and its application in real work, enhancing your cultural awareness of childhood. You develop specific skills relating to educational issues, theories of learning, equality and diversity, education policy and practice, creativity and education, and a general understanding of education in social, political and economic contexts. organisation and time management skills - prioritising your academic/part-time workloads and reflecting on and improving personal practice. How can I boost my career prospects? Achieving Qualified Teacher Status (QTS) through completion of the PGCE or equivalent postgraduate qualification is a popular route for Education graduates. Alternatively, you may wish to take a Masters course in education or a related social science in order to develop your understanding of the theory, research and policy of education, and to enhance your professional knowledge, skills and practice. Some Education graduates go on to study for a PhD in education. Education graduates generally enter jobs working directly with children or young people, in a support capacity. Other roles in an educational setting, but with less direct contact with children or young people. include administration roles in education. There are posts available in other public sector organisations such as local government, the NHS and the civil service. We involve industry experts in our courses in a number of ways. One of the benefits of the course is the broad knowledge and experience you will gain. This experience may lead you to consider teaching, even if you have not considered this as a career before. If you complete your degree, you are guaranteed an interview for a PGCE Primary teacher-training course at NTU during your final undergraduate year (subject to places being available). Applications can only be accepted subject to sufficient allocation of places from the National College for Teaching and Leadership for that year of entry. Applications will be withdrawn and not be progressed to interview stage once all places are filled on relevant courses. Interviews are subject to you meeting the essential entry criteria for the PGCE course at the time of application, such as GCSE requirements, degree grade and experience. An interview does not guarantee an offer to study on the course. GCSEs – English and Maths grade 4.
a satisfactory placement suitability check. We’ve created this calculator to help you work out how many UCAS points your qualifications relate to. We are committed to promoting a diverse and representative body of teacher trainees. We welcome applications from under-represented groups, such as male applicants, applicants from BME communities, mature applicants and those with disabilities. We welcome applications from prospective students with a range of qualifications and experience, and all are assessed on an individual basis. Mature applicants who do not meet the standard entry criteria can still be considered providing they have relevant experience to compliment any qualifications. All applicants will need to apply through UCAS. For more advice and guidance, you can contact our Student Financial Support Service on telephone +44 (0)115 848 2494.